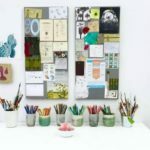 A collage is a piece of art made by attaching various materials such as paper, fabric, or feathers to backing material such a piece of paper or canvas. 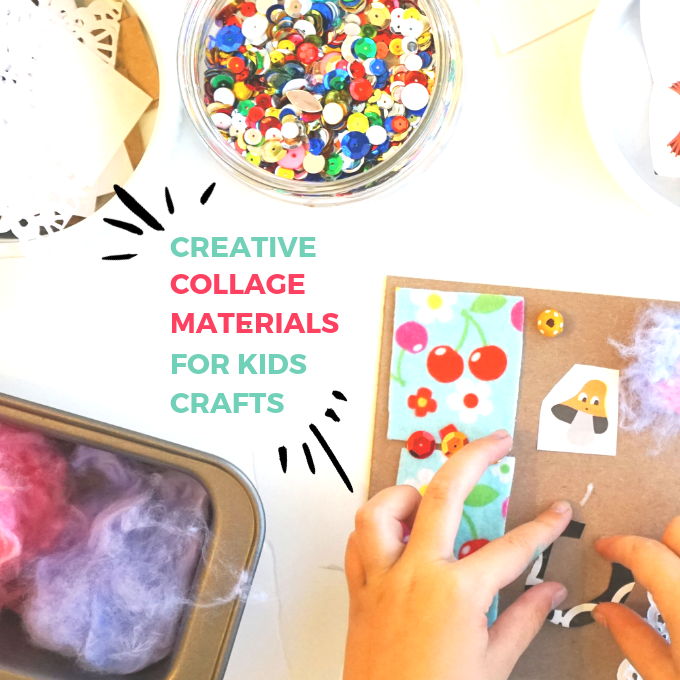 There are so many supplies that can be used to make a collage, which is why we put this list of creative collage materials for kids crafts to help you out and offer a bit of inspiration. 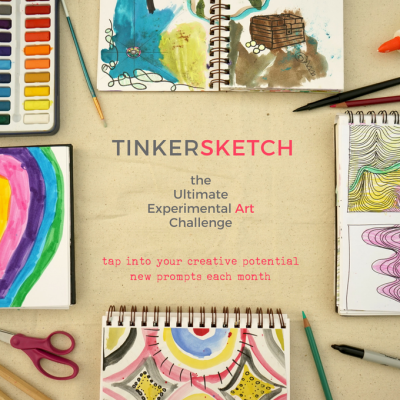 Be sure to scroll through for a list of collage materials and project ideas. 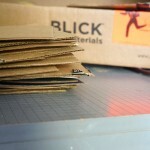 One of the best parts of making a collage is hunting for materials. 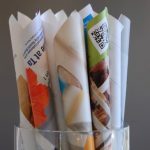 Look in your recycling bin, mailbox (for junk mail and magazines), grocery store ads, thrift stores (old books, maps, sheet music), a nature walk (leaves, seed pods), junk drawer, or old art and school projects. 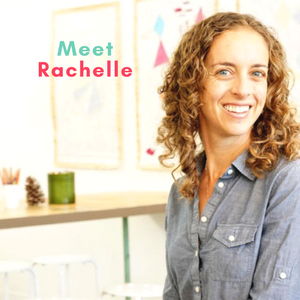 What adhesives should I use? 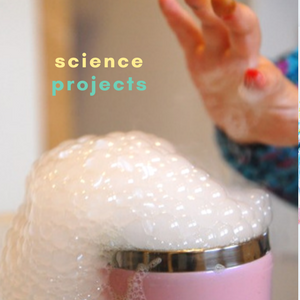 Non-toxic Elmer’s white school glue and Elmer’s glue sticks are our hands-down favorite adhesives for little hands. 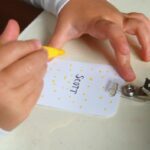 Glue bottles can be difficult for little hands to squeeze, so for toddlers we recommend adding a brush to a small container filled with white glue for easy gluing. 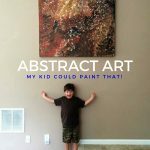 See the photos in this post on Fabric Collage to see an example. What scissors should my child use? 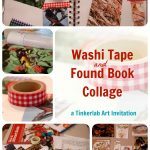 What collage projects do you recommend? 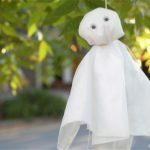 Toddlers: try simple cutout squares along with a glue and brush like in this tissue paper collage. 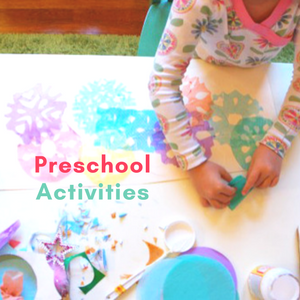 Winter/Seasonal: cutout paper snowflakes and collage them on to paper in this snowflake collage. Rainy Day: Is it raining in your town? Add color bleeding tissue paper to watercolor paper and place it outside in the rain to make this fun raindrop collage. Snowy Day: Is it snowing? Get inspired by the snow while staying cozy indoors with this snowy scene contact paper collage. Falling Leaves: Gather falling leaves to make this easy leaf collage (also on contact paper). Face Collage for Preschoolers: For children on the verge of creating representational drawings, this face collage comes together with paper, glue, and maybe a bit of yarn. 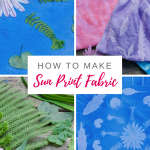 Fabric Pieces: Have an extra stash of fabric that’s going unused? Put it to work in this simple fabric collage. Just add glue. Attach it to a wall as we did for an extra fun element. 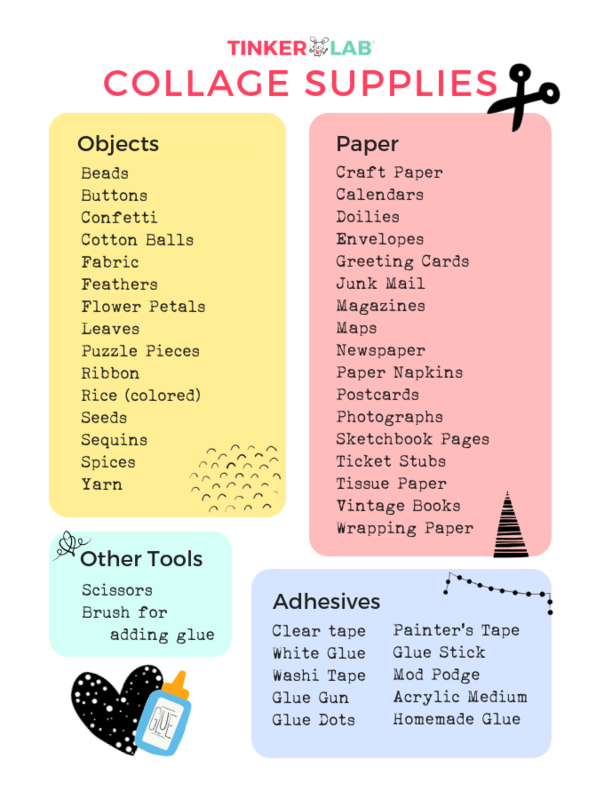 Click here for a free PDF of Collage Supplies for Kids. 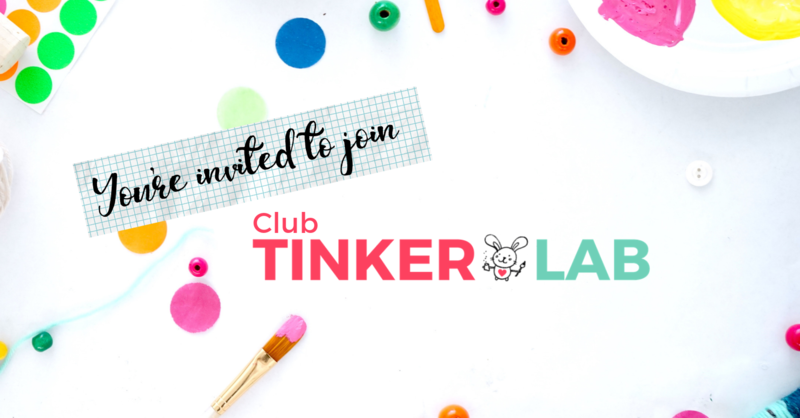 Click here to subscribe to our newsletter (we’ll send you creative inspiration and artsy opportunities) and you’ll get an invitation to join Club TinkerLab, our private Facebook group (it’s free! ).